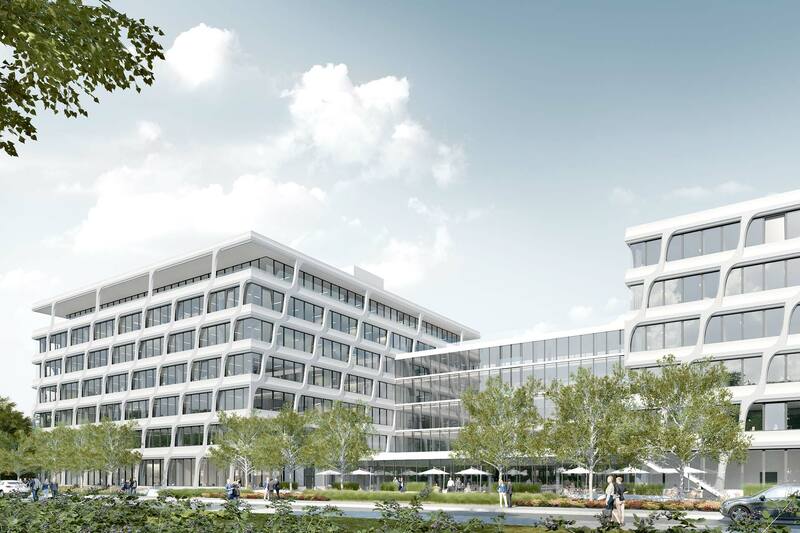 The objective for the new headquarters of the HeidelbergCement AG is a high user comfort with a minimum of energy consumption. Among other things this is achieved by an optimized building envelope and streamlined floor plans as well as the use of innovative, renewable and efficient technology. The building is designed to achieve a DGNB platinum certification. For the basic conditioning of the offices (heating and cooling) the climate concept includes a concrete core activation. For individual control decentral ventilation units have been installed which are also equipped with cooling and heating function as well as an effective heat recovery. Rather than full glazing the facades have been designed with an optimized glass-concrete-ratio to firstly reduce solar heat gains in summer, but to also provide daylight to the offices. An exterior solar protection with daylight redirection has been installed. With these measures the objective of a high user comfort with a minimum of energy consumption can be achieved. For heating two energy sources are used; district heating and heat pumps in combination with groundwater. The building mostly uses an efficient and environmentally friendly groundwater cooling. The groundwater is thereby used directly by feeding it into the concrete core activation for cooling. With the energy source groundwater, more than 70% of heating and cooling energy are covered.